So we all think we know what the word 'Obedience' means, don't we? It means to OBEY or to follow the instructions of someone else, which is true; however it is so much more than that. Sadly, the context of the word has been tarnished over the years and is usually linked with a negative connotation attached to it. Obedience comes from a Latin word 'oboedire'. The first part of this word means 'in the direction of', while 'audire' means 'to hear.' Therefore, to practise obedience implies that we lean in towards someone else, listening to what they have to say. In the case of Christ-followers, we show our obedience to Christ by 'leaning into Him', eager to hear his word and what God has to say. For me, this makes my obedience a much more active response to Christ and not merely one of being a puppet on a string. P.S. I have been grateful to Abbot Christopher Jamison for his insightful comments on Obedience. He wrote a beautiful book entitled: "Finding Sanctuary". In his philosophical take on faith, Soren Kierkegaard spoke about how we are united with God. He notes: "we become united with God NOT by climbing a mystical ladder to heaven, but by God's descending to our level and claiming us for his own." I think this is such a beautiful picture of Grace. We often misunderstand our spiritual quests as the work we do in order to reach God; however, we forget that the work has already been done by Jesus, who climbed down the "ladder" (the Incarnation) so that God could be with us. If you faith seems as if you are constantly trying to climb another rung on the ladder, to get closer to Jesus, perhaps take a break and allow Christ to step into your world. 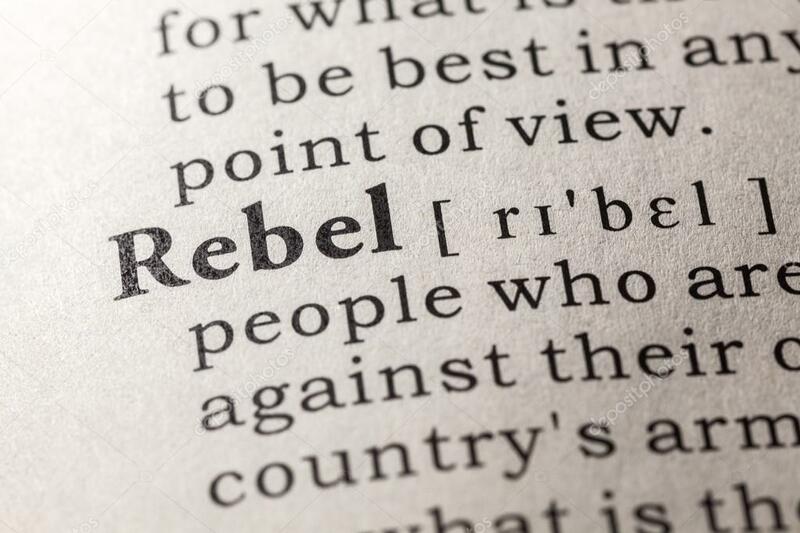 Have you ever considered yourself a 'Rebel?' Perhaps you have had moments when you have drifted away from the love of God, but would you call yourself a Rebel? The simple understanding of a Rebel is someone who "rises in opposition to a another person or a leader." "Fallen man (and woman) is not simply an imperfect creature who needs improvement; he is a rebel who must lay down his arms." In coming to Jesus, we must acknowledge the authority and leadership of God. We can't claim to be part of God's family and yet rise up in rebellion against his ways. Hebrews 3:8 - "do not harden your hearts as you did in the rebellion, during the time of testing in the wilderness." Reflection: Lord, teach me to be obedient to your commands. “You can't break God's promises by leaning on them!” - Unknown. I know it is a little simple, but it does make a strong point! God's promises are there for us to lean on. There are over 3500 promises in the Bible, depending on which version you use. That works out to almost 1 promise per day for nearly 10 years!! That is truly amazing. 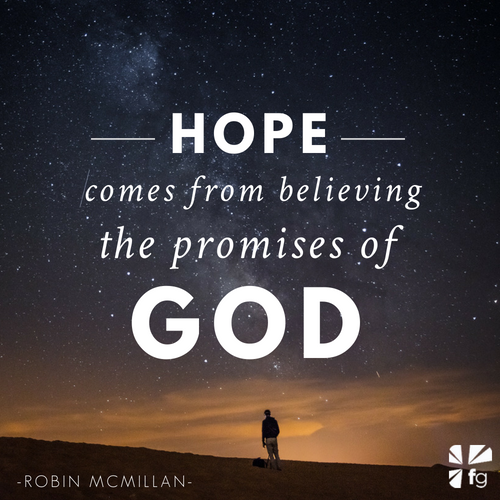 As you read these words today, may you hold onto the mighty promises of God. Just in case, you don't know where to start looking for these promises, here is one to give you are head start. I find these words of C.S. Lewis to be so true. When we are arrogant and consumed with superiority, we constantly have to look down on others - this is usually to make ourselves feel better than the "other." 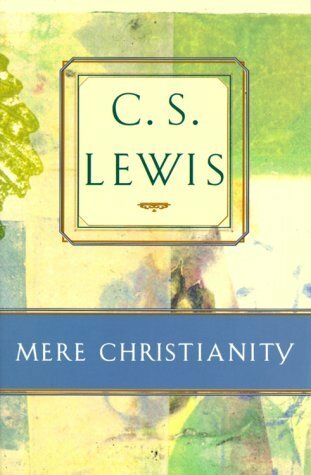 The trouble with pride, as Lewis points out, is that in the end, it stops us from looking up. I see this as a spiritual weakness - we fail to look up to God (not that God is only "UP" there in the heavens) and in so doing, prevent ourselves from receiving God's grace. God can't give grace to those of us who feel that we don't need it. Romans 12:16 - Live in harmony with one another. Do not be proud, but be willing to associate with people of low position. Do not be conceited. Shusako Endo was a world renowned author who wrote from a unique perspective - as a Japanese Christian he was able to write his novels with an overtly Christian undertone and he influenced many people for the Gospel. His most famous work, Silence, which was recently made into a movie, tells the story of a Catholic priest serving in Japan in the seventeenth century. This historical novel portrays the great struggles of the missionaries and how one man has to make a tough choice in order to save the lives of other priests. It is a very depressing movie, but very closely linked to facts surrounding the true story. May these words inspire you today. When Alexandre Dumas wrote his epic The Count of Monte Cristo I wonder if he realised how many people would be drawn to God's love through his beleaguered character Edmond Dantes. For it is in this man's struggle for revenge, hope, love and freedom that we can see the story of Grace written for all of us to see. On occasions when we wrestle with forgiveness - forgiving others and asking for our own forgiveness - we tend to think that resolutions will be quick. However, they seldom are. In fact, usually one is resigned to wait and hope for peace to prevail. It is these words 'wait and hope' that strike at the heart of God's design. Nothing is done quickly - but it is always filled with HOPE. "Live and be happy, beloved children of my heart, and never forget that, until the day comes when God will deign to reveal the future to man, all human wisdom is contained in these words: WAIT AND HOPE! Your friend, Edmond Dantes (Count of Monte Cristo)"
Is there something you have been praying for? What do these two words mean for you today - WAIT, HOPE? Lamentations 3:28-30 - When life is heavy and hard to take, go off by yourself. Enter the silence. Bow in prayer. Don’t ask questions: Wait for hope to appear. Don’t run from trouble. Take it full-face. The “worst” is never the worst. But, what if we allowed God to invade? - I mean in a good sense? 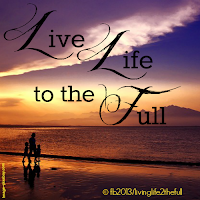 What if we allowed the Spirit of God to enter into our lives? If you like, to open our hearts to the invasion of the Spirit - coming from outside our world to change us for the good! Wouldn't that be amazing? And this is what Dallas Willard hints at in his quote (above) - when the Holy Spirit grabs hold of ordinary people and flips their lives around, miracles happen. The early church witnessed this and there is no reason why we can't witness these things again. In her book 'Penguins and Golden Calves', Madeleine L'Engle mentions how she came across an unusual prayer in a book in New Zealand. In this particular prayer book, the Trinity is referred to as "Earth Maker, Pain Bearer, Life Giver." I think it is definitely unusual, but also very intriguing. As soon as we try and pin God down through our use of language, we immediately run out of words to describe God in an adequate way. 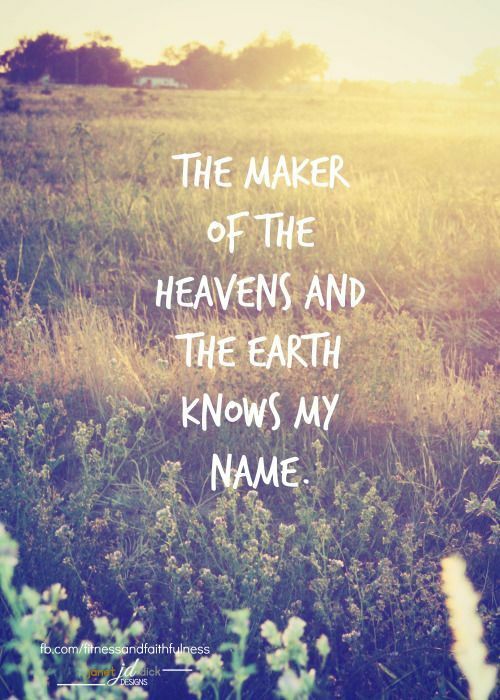 God is always going to be SO MUCH MORE than we can imagine, comprehend or describe. Exodus 34:10 - "Then the Lord said: “I am making a covenant with you. Before all your people I will do wonders never before done in any nation in all the world. The people you live among will see how awesome is the work that I, the Lord, will do for you." Abraham Lincoln once remarked that "in the end, it is not the years in your life that count. It is the life in your years." At first reading it doesn't always hit home as much as it should do, but then when you dwell on it, you realise how much sense it makes. You could live to be 100 years old and still feel that you haven't lived a full life, whereas some people only live into their teens and seem to have already accomplished so much. Take the following people for example - it is amazing that we still speak about the impact they made on the world, especially when they all died so young. If you don't know some of these names then please google them - they all died serving the Lord, many of them as young martyrs for their faith. Colossians 1:10 - "...so that you may live a life worthy of the Lord and please him in every way: bearing fruit in every good work, growing in the knowledge of God." You are not going to get it right all the time. That is a fact! Of course this is not an excuse to become complacent or lazy, but rather to recognise the need to improve and learn from your mistakes. People are very good at finding fault with our shortcomings, and forgetting what we actually get right, even if it is only most of the time. On a spiritual and Christian level, this sentiment also applies. We seek to follow Jesus and to be God-fearing, but there will be times when we miss the mark. The important thing is to be humble enough to admit our mistakes and to listen to the promptings of the Spirit. At first glance, we see that they got so much right, but there was still a word of caution for them later in the same letter. They didn't get it right 100% of the time, but they needed to heed the word from the Spirit. Thought: Don't let our imperfections stop us from giving our ALL for Christ. This kind of ‘burden’ is not really a burden, but rather an act of gracious love. God realised that the people were struggling and fighting with spiritual adversaries in their midst, so he didn’t want to place any extra burden upon them. All he asked was that they would HOLD ON to his love until he intervened. It is this call to PERSEVERANCE that may be interpreted as a burden, but is rather a gift to be shared amongst the people of God. God will be with us as we seek to hold onto his love. Action: Hold onto Christ today, because the work of "perseverance" is going to move us towards spiritual maturity.